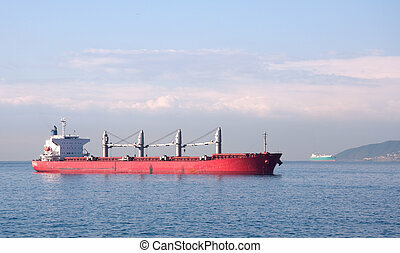 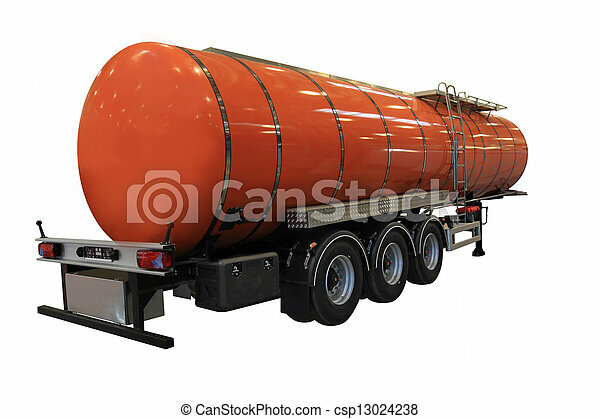 A big orange fuel tanker isolated on white. 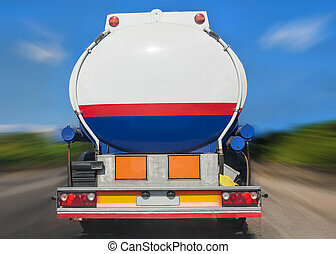 Flammable sign on the side of a fuel tanker. 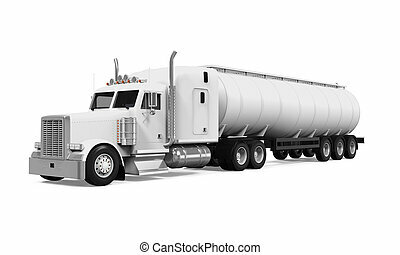 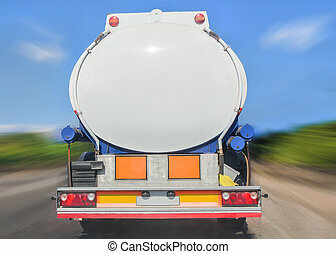 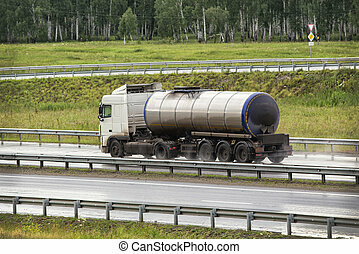 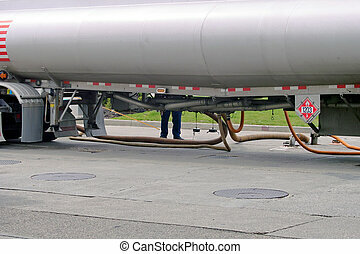 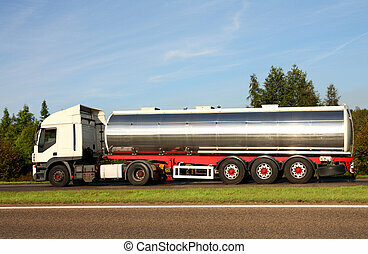 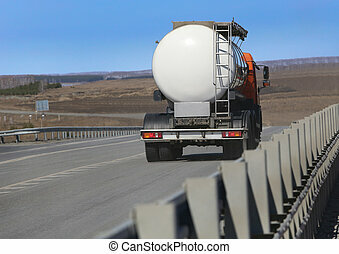 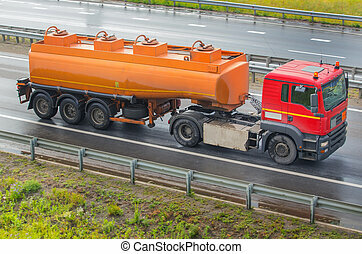 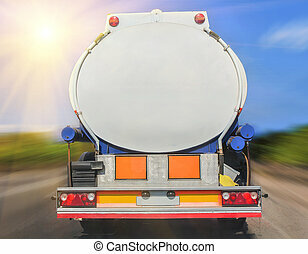 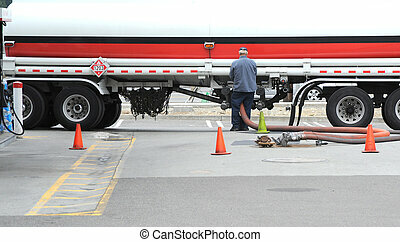 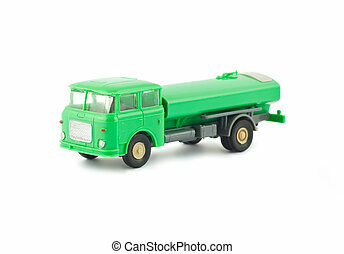 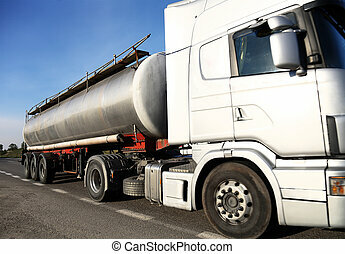 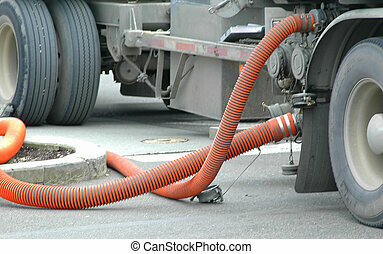 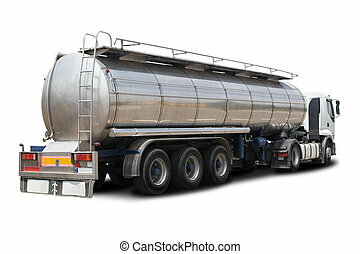 A close up view of a tanker trailer as it fills the various tanks of a gas station.